"Up yours you dirty kram!" "That kram's hair looks like poutine!" "I can’t believe that kram ate his tea bag!" "Imagine if you did a presentation with your fly open? 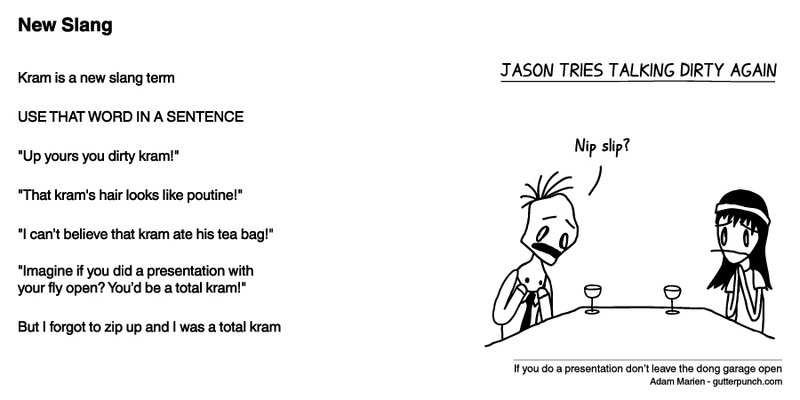 You’d be a total kram!"